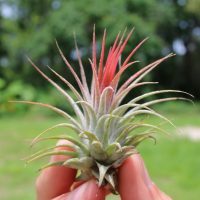 Turns out, air plants are kind of a big deal, pals. Air plaints represent the quintessential definition of Feng Shui. Feng Shui literally translates to ‘wind and water’. Wind, (which is air) and water are all these plants need. Rinse them or soak them briefly and then shake them out occasionally. Because no dirt is necessary, you can place them on shelves, a stack of books, a little nook- possibilities are endless and their fundamental simplicity and symbolism is inspiring. Looking for a head-turning houseplant that packs your pad with good energy? Giant (sometimes called White) Bird-of-Paradise is your answer. This bold grower towers over most others, offering an impressive statement in any room. Its energy evokes the message to strive for the light and to be flexible as we grow, which are powerful messages to keep in mind. 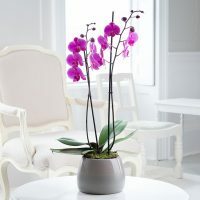 Orchids are equal parts auspicious, elegant and ornate, and make the perfect posy for a Feng Shui-friendly master suite. This delicate bloom represents purity, grace, and is believed by some to encourage fertility. Aloe plants provide a pretty, pop of green and an unmatched, calming quality to one’s home. The aloe plant is a favorite in Feng Shui because it “resonates with healing energy because it scrubs the air clean of toxins (formaldehyde, benzene and carbon monoxide), as well as being antibacterial and an antioxidant. Its healing properties extend to direct application for soothing burns and improving skin tone. 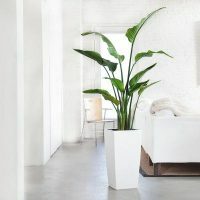 Despite its slithery name and questionable reputation, the snake plant is said to bring positive energy into one’s space. 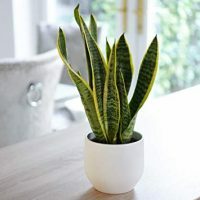 The snake plant’s sleek, sage leaves stand tall, giving off a protective energy that makes them ideal additions for your entryway or office space. Rubber plants are great for novice green-thumbs, as they are easy to care for and offer ample elegance to one’s space. 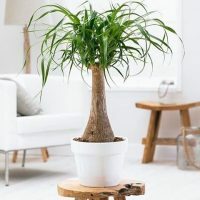 This glossy, green plant thrives in cool and low-light environments and promotes good Feng Shui by removing air toxins (think: negative energy) from indoor spaces, with ease. Bonus: the rubber plant boasts beautiful, round leaves that are said to represent abundance and wealth. Sounds like the perfect potted plant for your home office or corporate cubicle, eh? These perky, ponytail palm plants are Feng Shui favorites and one of the most forgiving houseplants on the market! What’s so unique about this low-maintenance plant is its inner balance of yin and yang energy. 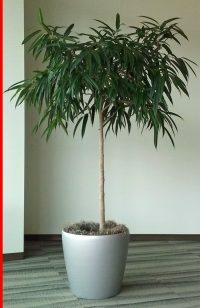 You can keep it outside in the summer, receiving direct sunlight and then bring it inside for winter, and it will thrive – even when placed in a low light area. It serves as a reminder to find the balance within ourselves. Ficus plants are favored in Feng Shui for air-purifying qualities that are said to encourage enlightenment. There are several varieties of ficus plants, all of which serve a space by filtering toxins from the air and offering an energizing boost from their vibrant foliage. Succulent plants are beloved houseplants because of their unique leaves and ability to add a modern, yet natural, element to any space. In Feng Shui, succulent plants serve as a reminder of the importance of creating the most favorable conditions for one to thrive. Succulents are a popular ‘designer plant’ that most people love in the first three to six months, then they don’t know what to do with them when they get too leggy and start to look awkward. Bamboo is the MVP of Feng Shui-friendly houseplants. People adore this cheerful plant for its exotic appearance, low maintenance, and rapid growth. 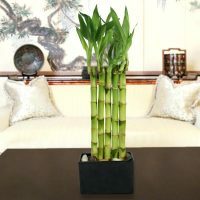 Incorporate a bamboo plant at your workplace or living room to invite harmony, abundance and good fortune. Citrus fruits symbolize health, wealth and prosperity. 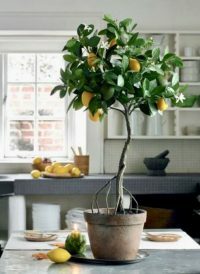 One way to achieve good Feng Shui for your home is by adding potted citrus trees to your home, such as the pretty pair of lemon trees. Adding fresh, citrus trees to one’s home is said to encourage good fortune for family and finances.